Suede sofas are beautiful additions to any well-arranged room interior. However, their beauty comes at a price. Firstly, the average suede sofa is more expensive than its fabric finish counterparts, maybe not as pricy as some of the leather sofas, but the purchase cost of one such furniture set is not to be disregarded. The pleasant looks and gentle feel of suede is also a unique characteristic, but one which can be easily affected by stains, spills and soiling. Cleaning suede is much more complex and demanding than cleaning fabric finishes and other similar materials. This goes to show that specialised cleaning methods are required, if you want your delicate and beautiful suede sofas to look better for longer. 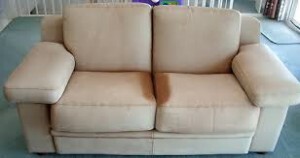 Instead of risking your valuable suede sofas to conventional or homemade cleaning treatments which are likely to do more harm than good, you should use our specialised London suede sofa cleaning service as the better, more effective alternative, and have your suede sofas cleaned professionally with no risk of damage, or excess costs. The luscious feel and appealing look of the suede leather is attributed to natural oils and waxes it contains, problem is that regular conventional cleaning attempts dissolve these oils and waxes, leaving the suede brittle-like and unpleasant to the touch. In some more extreme cases prolonged application of conventional cleaning methods might even peel off the top layer of the suede sofa, something which is definitely not going to happen when using our specialised London suede sofa cleaning service. In fact, subjecting your suede sofas to our professional suede sofa cleaning in London actually restores the suede’s natural oils and waxes to their original state and amount and retains the suede’s pleasant feel and appearance. 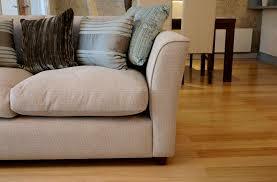 The most common type of suede used for sofa making is the painted leather finish. Although this is a very stylish solution it is notorious for retaining stubborn stains like ink or alcohol. Another problem with painted leather finish is the fact that its top layer tends to peel off quite easily when subjected to unsuitable cleaning treatments. This however will not be an issue when using our professional suede sofa cleaning service in London as our cleaners will choose the most appropriate cleaning technique as per the type of suede, and its current state. Suede might feel less supple after cleaning but it returns to its normal state after a few hours.